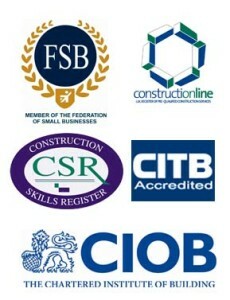 PC Building is a registered and fully insured construction company that specialises in many areas of both private and commercial building work. It was established in 1995 by Patrick Cairns (ACIOB), who has developed the company into a reputable well established building firm. PC Building has secured contracts from major construction companies such as Gilbert Ash and Heron Brothers, to name a few, and have been involved in the construction of well-known establishments throughout Northern Ireland such as the restoration of the Crescent Arts Centre in Belfast, The Chest, Heart and Stroke Offices in Belfast, the soft play complex Peter Pan’s, Portadown. For the home owner who feels they need to move we ask – why move when you can improve?! Our team of dedicated craftsmen offera commitment to complete each project to the highest quality and standard. Paddy and his team did a great job removing an internal load bearing wall, plastering, plumbing and electricity. All work completed within 5 days, very tidy, left the house spotless and the results were better than we imagined. Paddy is a real gent, would definitely recommend! Absolutely brilliant service from Paddy. Told me he would come out to look at my job. Gave great advice. Told me what needed done and within 36 hours he had it completed and at a very reasonable price. Cannot recommend him highly enough. Many thanks to Paddy and his team, Damien & Ben, for doing a great job. Great workers and very tidy. Will definitely use again. Highly recommended! Thanx Paddy for doing a great job!!! Will definitely be using you again for other jobs as discussed. Hassle free and no mess.. :D :D Great job, would higly recommend..
Paddy & his men did a superb job. Everything was explained & priced before the job was started. Daryl did a excellent job with the wall & paving. We're very happy with the finished job and would thoroughly recommend PC Builders.